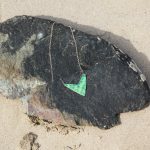 Copper enamel seedling pendant necklace in green on a rose gold chain with magnetic clasp. 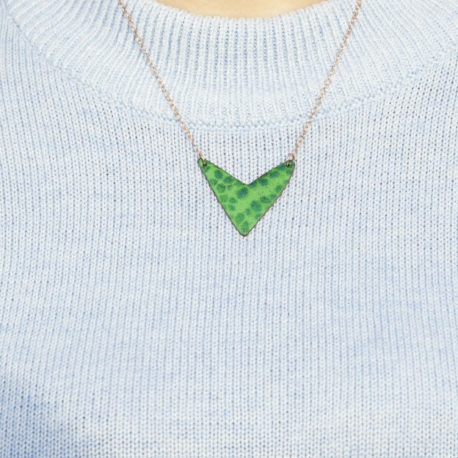 A fresh spring green copper enamel necklace in a seedling or V shape. 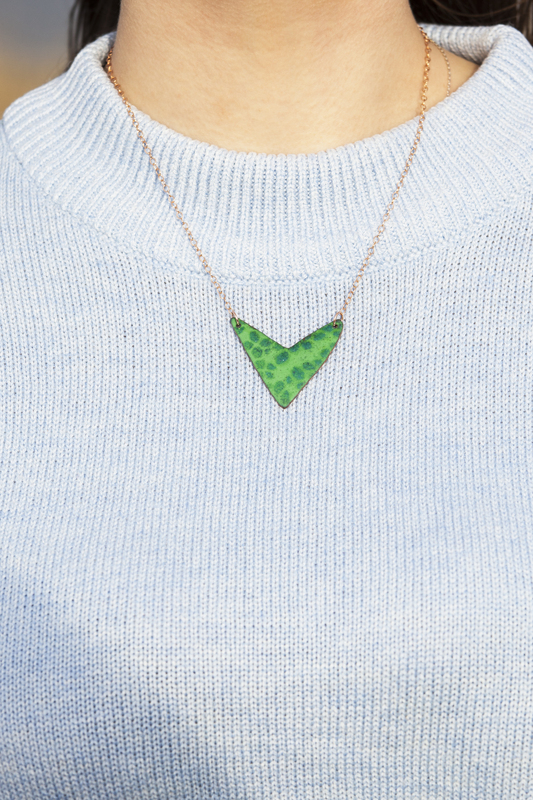 A subtle pattern of green has been layered on top with a slightly different shade. 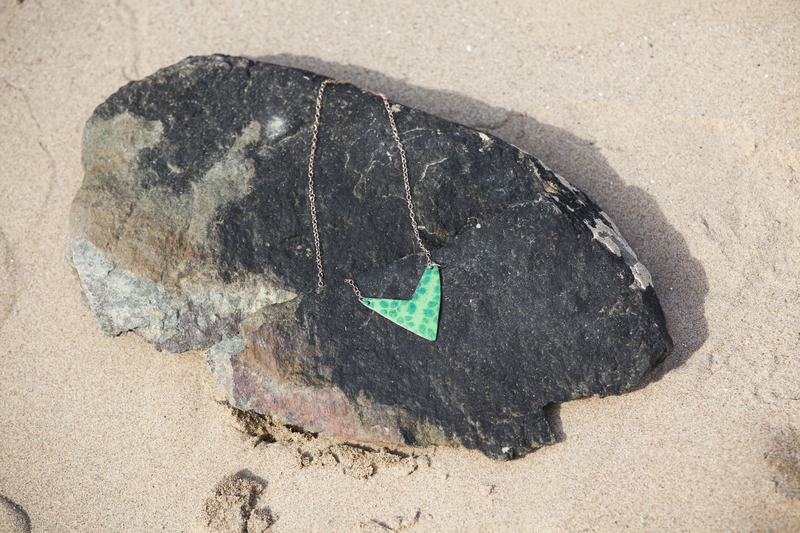 This pendant will look really great with a denim shirt or crisp white t-shirt. 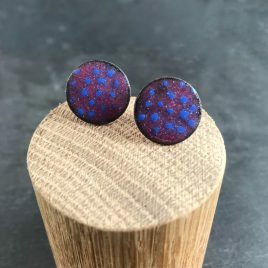 Copper enamel drop earrings with a fresh indigo blue and white floral pattern. 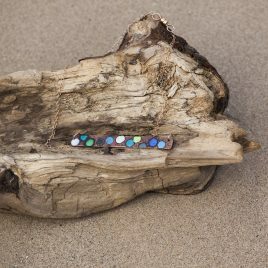 Beautiful summery earrings just right for garden parties or summer weddings. 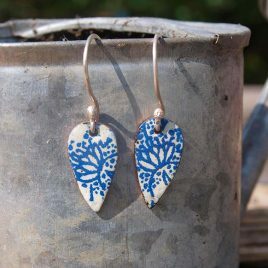 The earrings are a leaf shape drop of copper with an indigo pattern over an antique white enamel base. 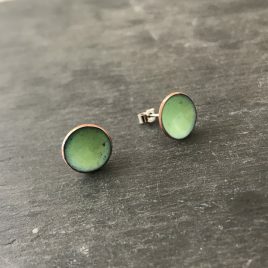 The earrings are finished with a hand forged sterling silver ear wire. The style is very vintage inspired.